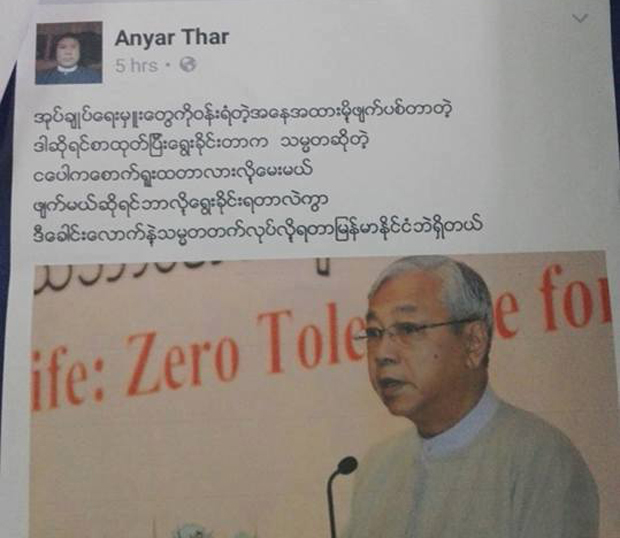 Yangon (AFP) - A man has been jailed for nine months after calling Myanmar's president "crazy" in a Facebook post, his wife said Friday, in the latest use of a junta-era defamation law under the new civilian government. 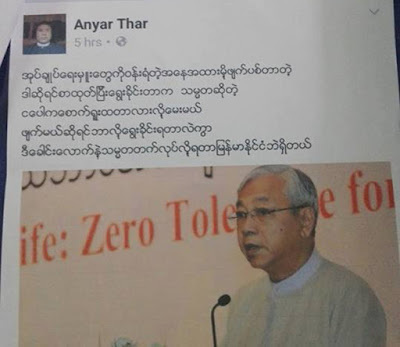 Aung Win Hlaing was convicted under Myanmar's telecommunications law for calling President Htin Kyaw an "idiot" and "crazy" in online posts, his wife Hnin Hnin Win told AFP. 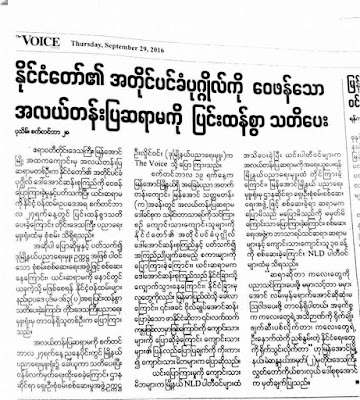 "He was sentenced to nine months on 23 September," Hnin Hnin Win said, adding the case was brought by a local member of the ruling National League for Democracy (NLD), the party led by Nobel laureate Aung San Suu Kyi. 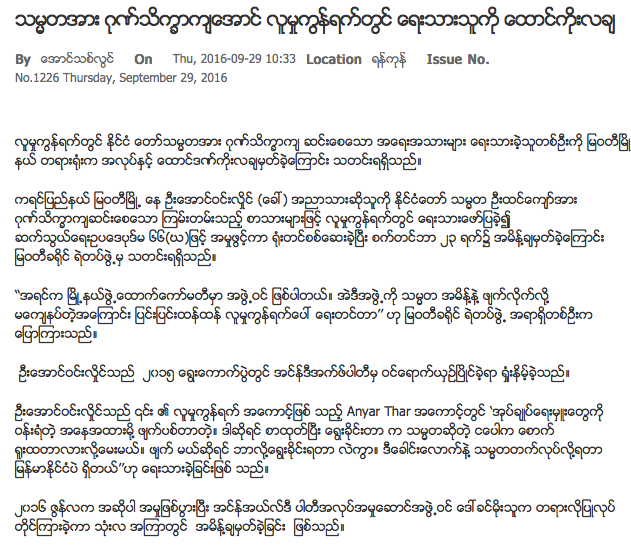 "One of the NLD's people complained about him to the court... Now he is in Taung Kalay prison in Karen state," she said. Her husband wrote the comments after a presidential order shut down a committee on which he worked, she added. 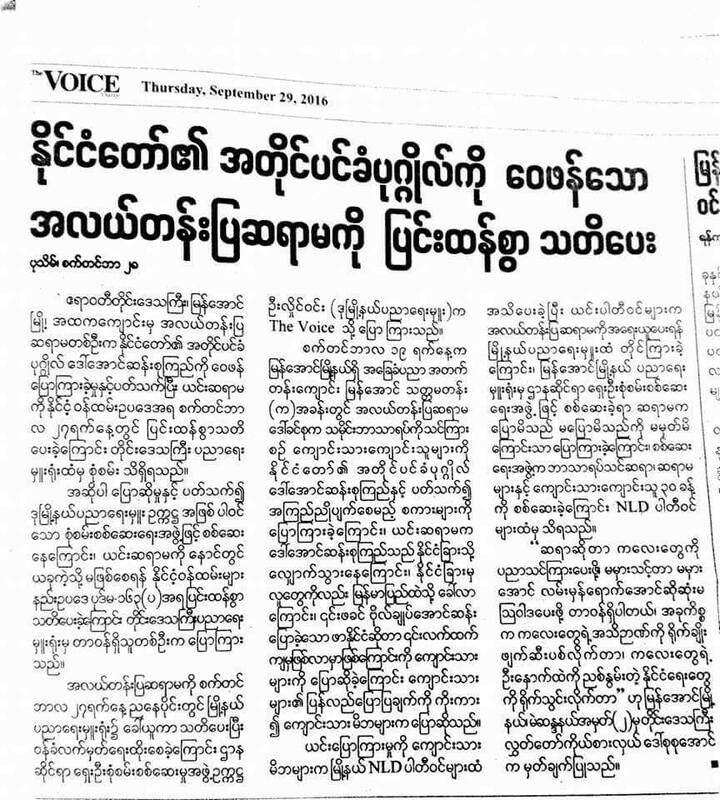 An NLD MP from the Karen regional parliament, Thant Zin Aung, confirmed a local member from the party had brought the case, but emphasised it was in a private capacity. AFP was unable to reach local police or court officials for comment. 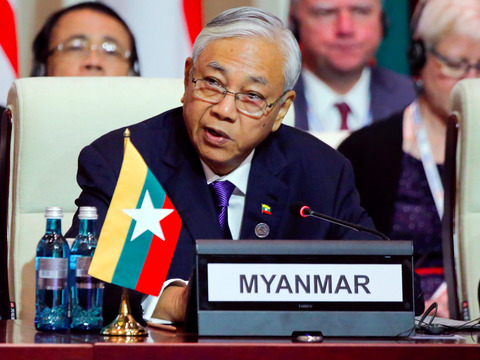 While many freedoms have flourished since Myanmar's army started rolling back its power in 2011, activists say authoritarian legislation is still being used to silence criticism of the government. The telecommunications law was passed in 2013 as part of a push by the former army-backed transitional government to open the sector to foreign investment. But the broadly worded law, which bans defaming people through any telecommunications network, was also used frequently by the former regime to punish critics. Despite sky-high hopes Suu Kyi's government will usher in a new era of free expression, several people have been prosecuted for defamation since her party took over in late March after winning the first democratic elections in a generation. 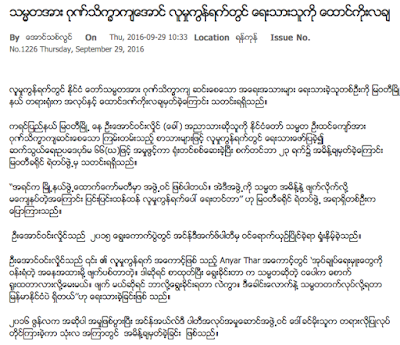 In July a local official in central Magway region was charged with defamation for referring to Suu Kyi with a slur on Facebook. Last month a Myanmar actor was sentenced to nearly three years for scribbling curse-laden insults about the army across his car.